What Is Cannabidiol Used For? By now, everyone has heard of the seemingly miraculous power of CBD, but exactly what is Cannabidiol used for? It’s been attributed to helping with every ailment under the sun but there must be a limit to the capabilities of this compound. The list seems to be growing by the day, and as more medical research is completed, we can expect it to gain more traction. Even though the scope of CBD benefits is extremely limited in the eyes of the FDA, there will be a time in the near future where they can’t deny the truth. 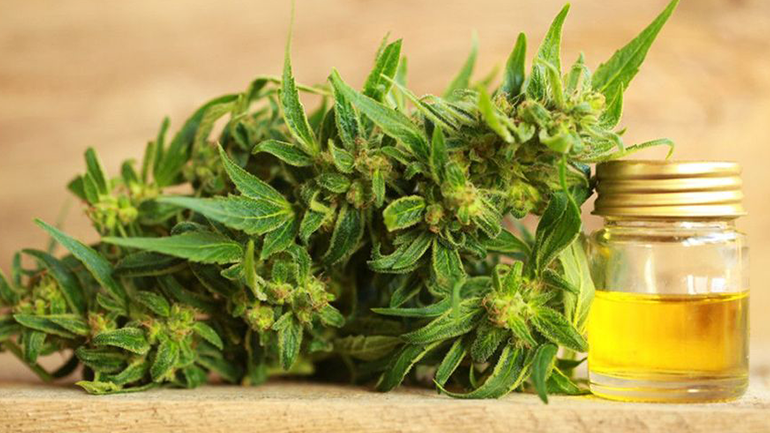 As more people, even health professionals, are turning away from conventional medicine, it’s time to take a serious look at the uses of Cannabidiol. Cannabidiol (CBD) is a Phyto Cannabinoid first identified in 1940. It’s one of 113 or so identified Cannabinoids in Cannabis plants, accounting for up to 40% of the plant’s extract. Even though we mentioned the Cannabis plant, don’t worry; unless otherwise stated, almost all CBD in the United States is derived from Hemp plants. While they are both members of the same family, one was genetically modified to produce high quantities of THC (Tetrahydrocannabinol) for its psychoactive properties while the other wasn’t. Cannabidiol has an amazing ability to interact with the Endo-Cannabinoid System (ECS) within our bodies to rectify imbalances all over the place. Why are People Turning to Cannabidiol? As soon as you realize that the ECS in every mammal is designed to work with CBD, the question shifts to why they aren’t. Instead of using opiates or man-made substitutes, many people are turning to Hemp oil. Across the spectrum, from anti-inflammatory properties to helping with anxiety, CBD is making a name. Most people are still terrified by the stigmatism attached to the name of a chemical that was outlawed for almost a century, but just like Marijuana, opinions are quickly shifting. Stories are starting to spread. Everyone probably knows someone who’s using CBD and is singing it’s praised. Word of mouth is creating an environment where, before long, most people will be using CBD on a regular basis. The list of uses is massive. The ECS regulates almost every part of your body and CBD actively bolsters the system. When you start to sweat because you get too hot or your crazy hormones shift back into balance, chances are its this system that put it back in check. The Government has approved 1 medical use for Cannabidiol – and one single product – but the list is endless. Epidiolex was approved by the FDA for the treatment of seizures associated with Lennox-Gastaut syndrome or Dravet syndrome. This is a very narrow scope by any means, all the while ignoring the plethora of other confirmed uses. While the FDA claims that most other uses are unproven, people across the country are using CBD to effectively treat: ADHD, Acne, Anti-psychotic, Anxiety, Blood pressure, Chronic pain, Depression, Epilepsy, Glaucoma, Heart disease, Hormonal imbalance, Insomnia, Inflammation, Loss of appetite and body weight, Muscle spasms, Menopause, Neuroprotective properties in old age, Parkinson’s disease, Protection against cancer growth, PTSD, Relaxation, Reproductive/ Fertility problems, Sleep Disorders, and Substance Abuse Treatment. This list is by no means complete and is growing by the day. Everybody’s experience with CBD is different, what may work for your neighbor may not work for you. This compound has been around for a lot longer than mankind and it is possible that our lack of it for so long has caused harm in a whole generation or 3. Cannabidiol in it’s finest form. Researchers around the world are pushing hard to find solutions to current problems. Children, essentially being given an amphetamine to combat ADHD could soon be given CBD instead. Former soldiers suffering from battlefield fatigue are already turning to CBD rather than the cocktails of anti-psychotics that they’re being prescribed. There are reports that couples suffering from fertility problems are finding an inner balance and an almost miraculous ability to conceive. A personal favorite on the list is finding that people suffering from opioid addictions, most of which were caused by accidents that required hospital treatments, are finally able to ditch the pills or street drugs that they’ve been using to self medicate. While the FDA only sees certain uses for Cannabidiol, the rest of the world is already finding a plethora of uses. Our bodies have much more use for this simple compound than 90% of the commercial drugs on the market and it’s beginning to show. Children aren’t designed to deal with the ADHD medicine currently being prescribed, Lithium for mental disorders isn’t a great idea either, especially when there is an alternative. When we asked “What is Cannabidiol used for”, we should have asked why we haven’t been using it all along.